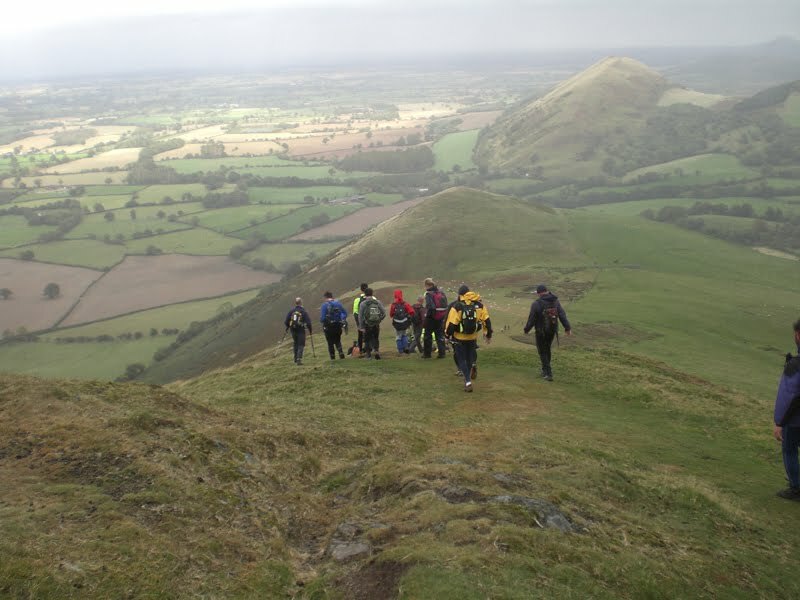 Team “Earley Gunners” (Myself, Shane and Stouty) participated in the Longmynd Hike which takes place the first week in October and covers a distance of 50 miles over the Shropshire Hills within a period of 24 hours. The timing of the event in October is at a point where there is supposed to be an equal amount of light to darkness during the period. 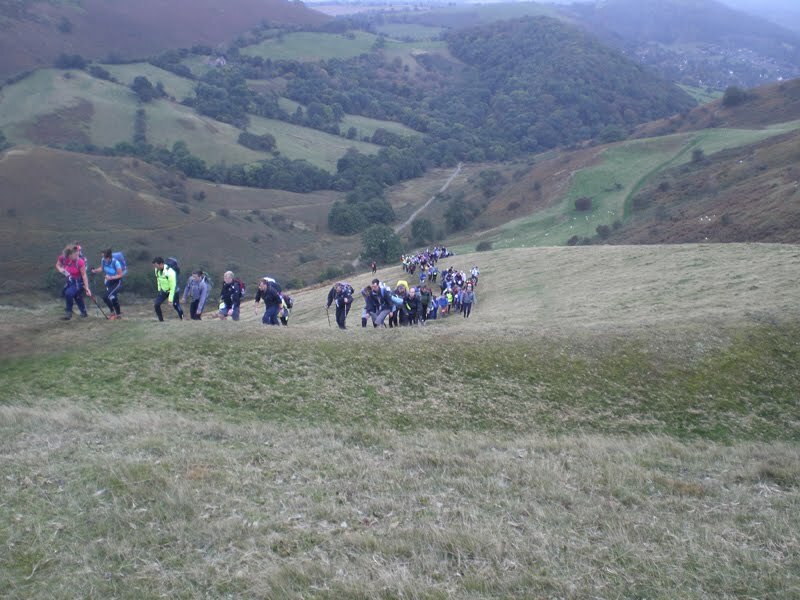 We arrived at the start point which was a school in Church Stretton in plenty of time and checked in and underwent the obligatory kit check, then it was time to eat a pre-prepared pasta lunch and ready our equipment and pack our bags with food and equipment. The start was a 10 minute walk away so a quick jog to the start was called for to ensure we were ready to go on time. The weather at the time was cloudy and overcast as the 500 people who had entered set of at 1pm. The first few miles of the Hike involved two large hills (probably designed to break your spirit at the start) but it gave you a good indicator of what to expect for the rest of the hike. The howling winds were particularly noticeable at the top of the hills where you were quite exposed. Stouty was in fine form at the start encouraging Shane and myself to run at each available opporunity and keeping the team going. At the mid-afternoon point, the rain decided to pour down quite heavily for over an hour as we continued our efforts. I was still suffering from last weeks marathon and my hip was feeling really sore (not helped by the jarring down the hills and falling over twice due to the steep nature of the hills) and a couple of ibuprofen were required to alleviate the pain. I was wearing a pair of Inov8 Roclite trail shoes and to be honest I didn’t find the grips to be that good. At that point, I felt uncomfortable running so our run became a brisk walk as we continued on. During the first few hours you could see a constant trail of people both ahead and behind you (we were placed around half way) and map navigation wasn’t really required at this point as you followed the procession of people. 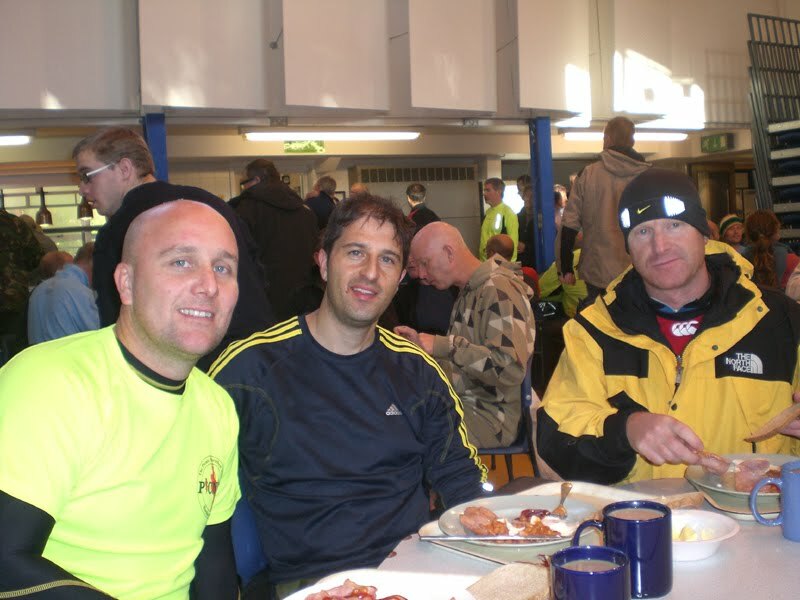 The route was broken up by 17 checkpoints every 3-5 miles which were all manned for 24 hours (apart from 1) and we were always welcomed with a friendly face, some words of encouragement and refreshments. 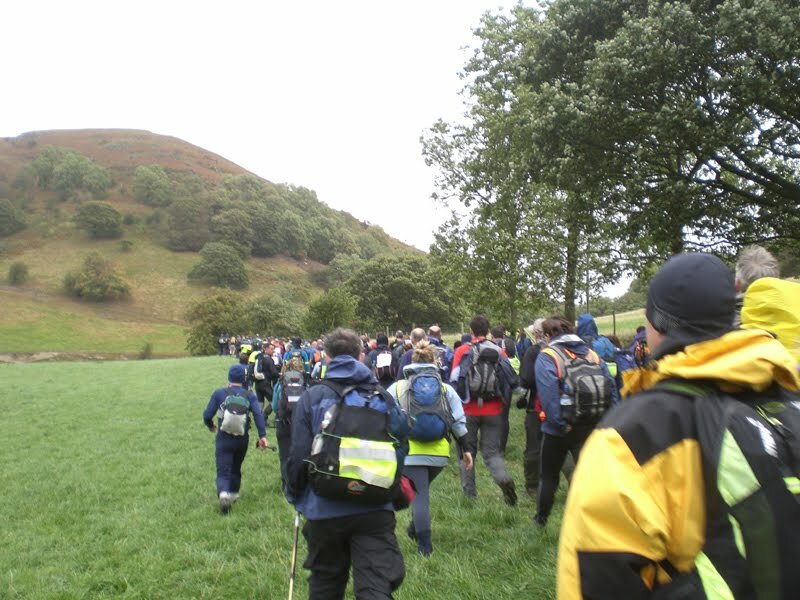 In fact the marshalling and organisation was some of the best we had ever experienced with nothing too much trouble from brief advice or directions, filling up your water bottle or plenty of hot drinks and a snack. The organisers should be commended on putting together a superbly organised event. There was a brief comedy moment when I put my foot through the cattle grid and stumbled in front of an approaching car (all laughing to themselves) which was another one to blame on the shoes. We made our way through the Stiperstones late afternoon which was the least enjoyable part of the Hike due to the jagged rocky nature of the path and as afternoon headed into evening the sun began to wane and the moon came up and with this the torches came out to play. Stouty made a new friend on the route and still full of energy carried on at a good pace whilst Shane and I dropped back a bit. Stouty waited at one of the checkpoints for us to catch up as he tackled another large steep hill. For some reason, I seemed to struggle on all the hills and whilst I didn’t feel out of breath, the constant heavy steps and climb up and up and up felt quite demoralising resulting in frequent pauses and a real stop/start effort. 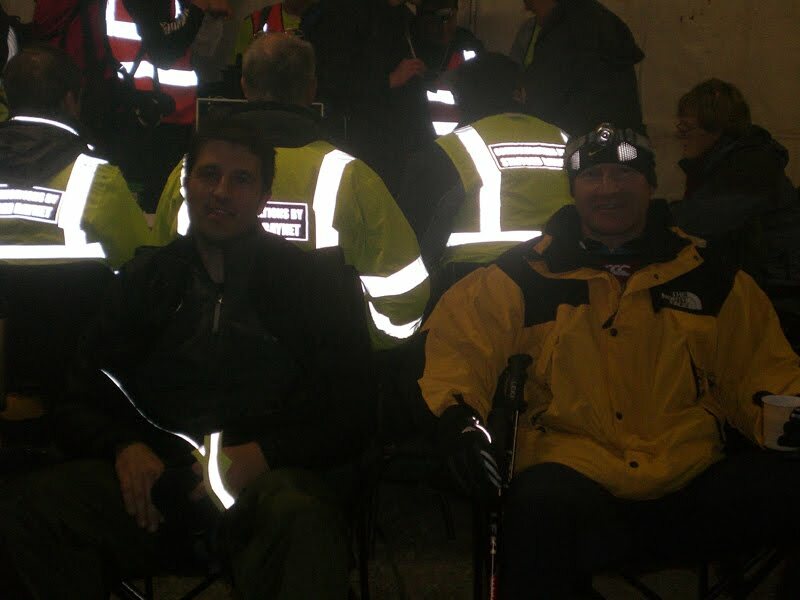 We stopped at a checkpoint at around 8pm for a hot drink and some food before heading out for the night phase. At this point, everyone was required to form groups of at least 3 people and you were required to stick together between checkpoints. 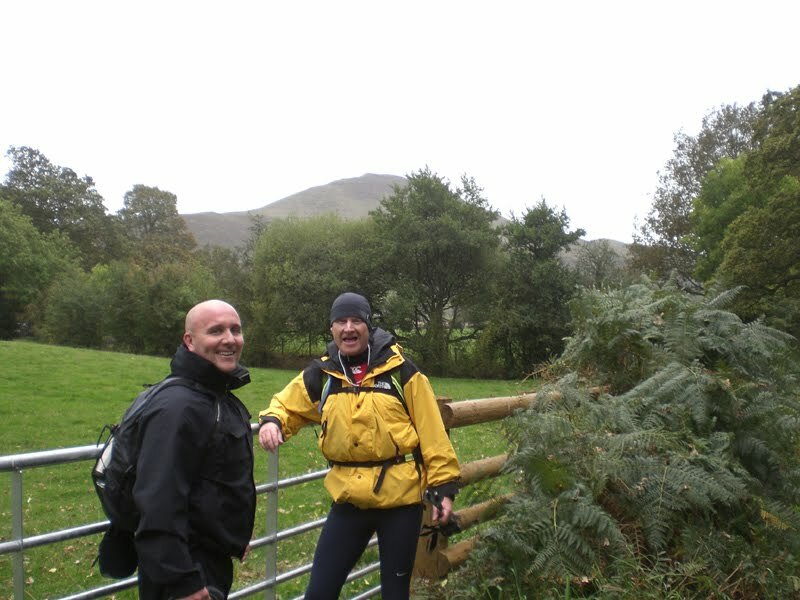 We decided to tag along with a couple of other groups who had complete the events previously to minimise the risk of getting lost. In all honesty, if we had attempted to navigate the course by ourselves being completely unfamiliar with the surroundings then we would have definitely missed some of the markers and pathways. The evening walk was fairly enjoyable and we did pass through a small village past a pub where the late night Saturday revellers were out in force and gave us some encouragement which was good to hear. As evening turned into late night and the walk headed back out to more remote pathways it became more of a slog particularly as you got into the early hours of the morning. As we headed towards the 42 mile point, Shane was still struggling and we missed one of the markers, we reached a short cross-roads and a quick check of the map indicated we had overshot the path. 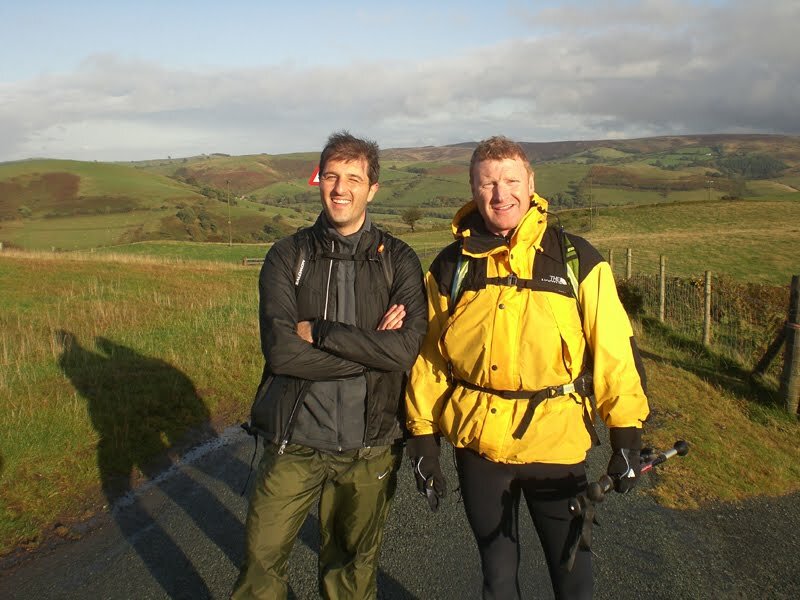 We were making really slow progress, off the correct route and pretty tired through lack of sleep at this point. This was decision time for the team! Stouty and I had a quick chat and decided that if Shane was struggling then we would all pull out at the next checkpoint. 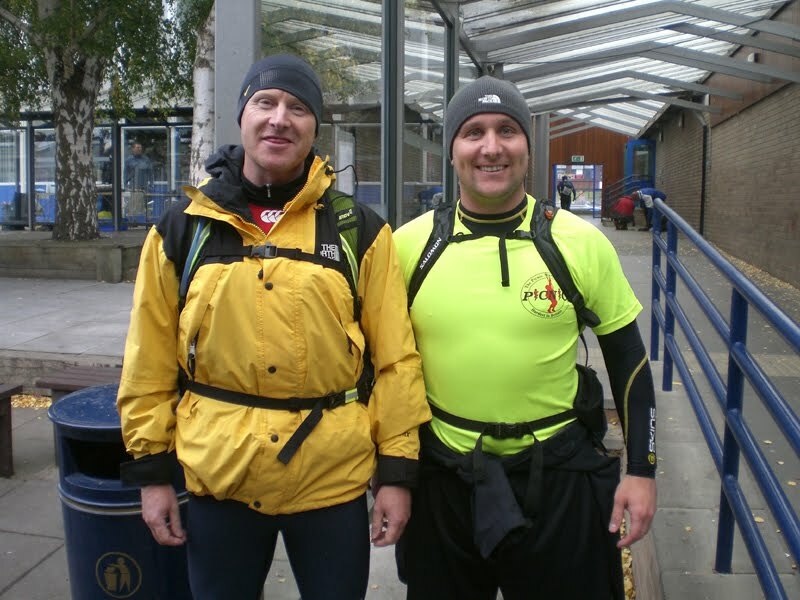 Having walked through most of the night and covered 40 odd miles we had covered the majority of the route and whilst it would have been disappointing not to complete the event, we had entered as a team and would finish or stop as a team. The question was put to Shane, could you carry on? There was little debate, “I’m going to finish this” he replied and the decision was made, we would continue. I think Shane recognised he had been making slow progress as showed some really good determiniation to pick up the pace after that. From where we were, we detoured back and spotted the faint twinkle of some flashlights in the distance. The shortest path seemed to be to cut across some boggy bushy area rather than double back and find the path so we fought our way through the low bushes in a depressive mood which was momentarily lightened by me tripping over the roots of a bush and falling over until we intersected another group of walkers and the path we had missed. We tagged along with this other group for a little while as we continued the walk well into the early hours of the morning. I can’t speak for the other guys about between 4-5am in the morning I could feel myself dropping off as I was walking resulting a few stumbled steps. Some icy cold water and a (self) slap round the face soon woke me up though. We arrived at the next checkpoint (42 miles) made a very brief stop for a warm drink and headed out again, only 8 miles, 2 checkpoints and 1 large hill to go before the finish. 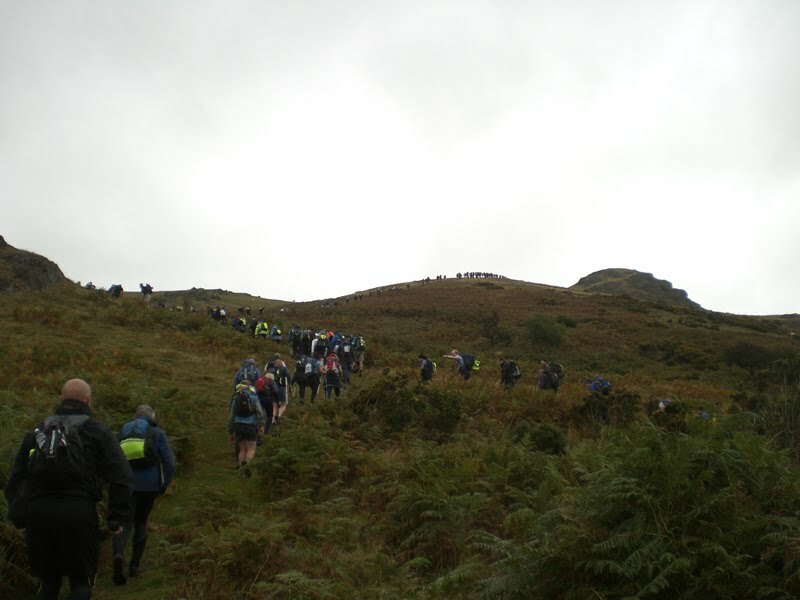 We continued on with the other group we trudged towards the next checkpoint which was downhill. We stopped briefly for running repairs on my feet as the other group headed on. As we continued, we may have missed a turn somewhere and took a longer route towards the penultimate checkpoint. 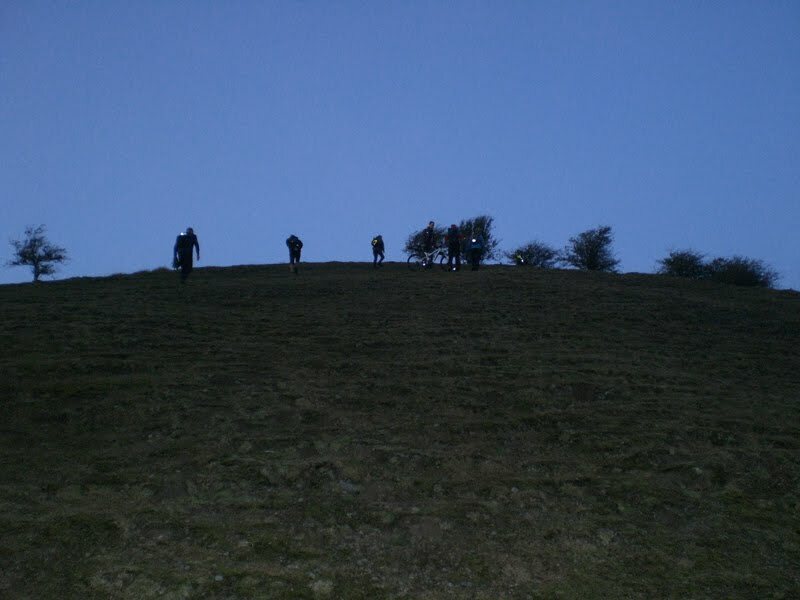 By this time, day was breaking and you could see the final hill in the distance and the odd groups of people making their way up the hill. We arrived in Minton and did a quick check of the map to find the path up the hill and then made the slow walk up the hill. 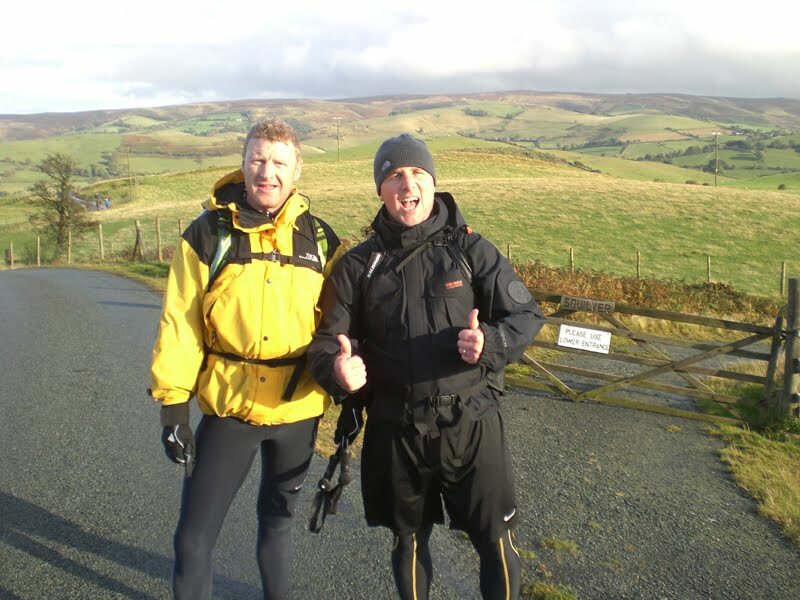 Stouty pushed on ahead and waited at the next checkpoint whilst I made my way up the hill with Shane. We did pause at the top for a few photos and to admire the view before moving on, only 2 miles to go and we would be finished! Despite feeling tired, daybreak seemed to wake everyone up and knowing the next stop would be the last was a nice feeling after a long night. We took a longer way down Ragleth Hill by managing to circle back on ourselves but the town was in site and we headed down to the main high street and plodded to the finish point. We arrived at the finish at about 8.30am in the morning nearly 20 hours after we started and having covered more than 50 miles with our detours (52-53), as soon as we had checked in at the finish it was time for a cooked breakfast and a cup of tea (free as part of your entry) and then took advantage of the showers to clean ourselves up before our pickup had arrived. Unfortunately, blisters had taken their toll so we were all limping around. It was an interesting experience, I thoroughly enjoyed the challenge of completing the course on time but can’t say I really enjoyed the trudging through the darkness with blistered feet for hour after hour. 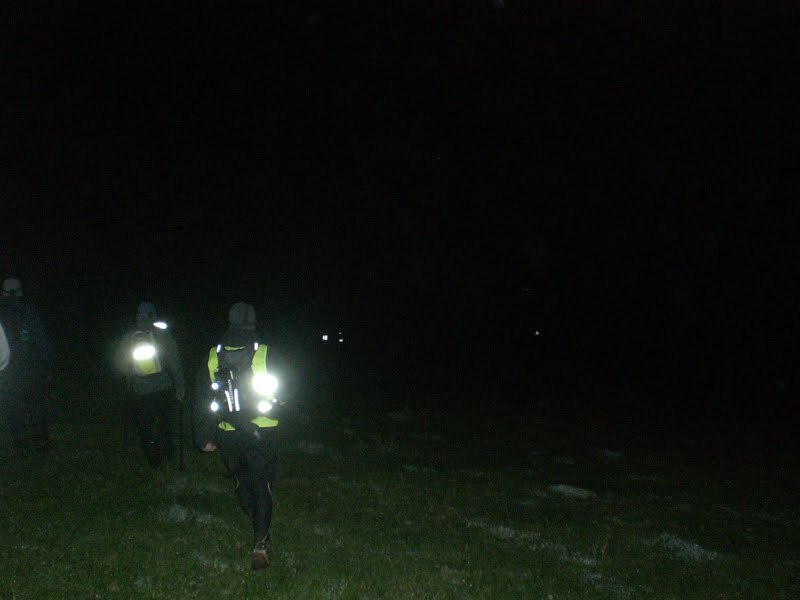 When you start the hike and are faced with two hills at the start, the size of the task becomes quite apparent and when you’re covering mile after mile in the middle of the night you just want to complete the event. 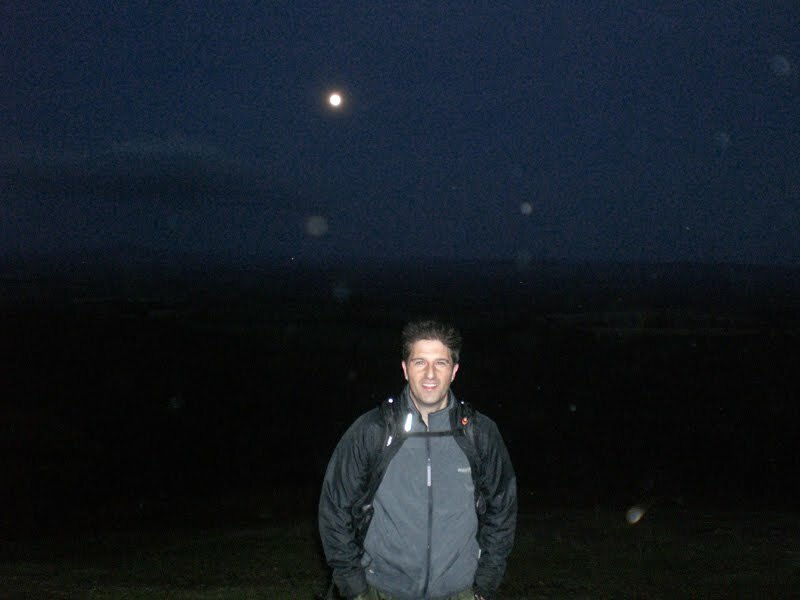 The hike required some degree of fitness to walk 50 miles in 24 hours but for me the real challenge was trying to motivate yourself to continue particularly when it’s dark and you’re cold, wet and tired and with an easy option to retire at each checkpoint (with a minibus to drive you back to the finish point). 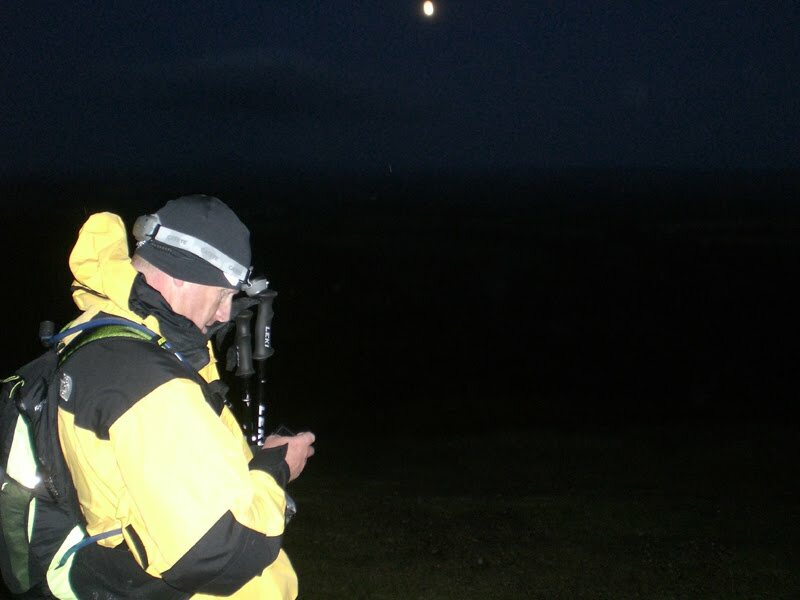 I had also been looking forward to trying out some map-reading and navigation but the reality of the situation was in the middle of the night with limited visibility it would have been very difficult for us to correctly navigate the easiest paths especially as we were all unfamiliar with the area so we were fortunate to meet up with a few other groups on the way. 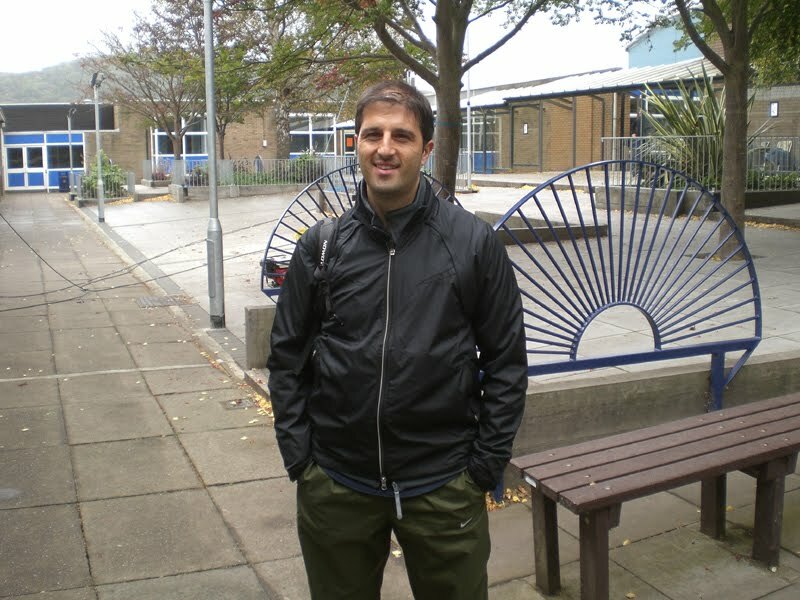 Again, I would like to comment on the superb organisation of the event, the fantastic marshalling, good facilities (showers and breakfast) and even the support from the locals. I would definitely recommend the event to others. I would go for as to say this was the best organised event I have ever participated in.